1 off-menu Juicy Lucy style Burger – What’s inside? Its a secret! Steph AKA @yeahfoodbeer and Amanda AKA @dontsithome will be on hand to help you some quick tips on how to get more engagement on Instagram. 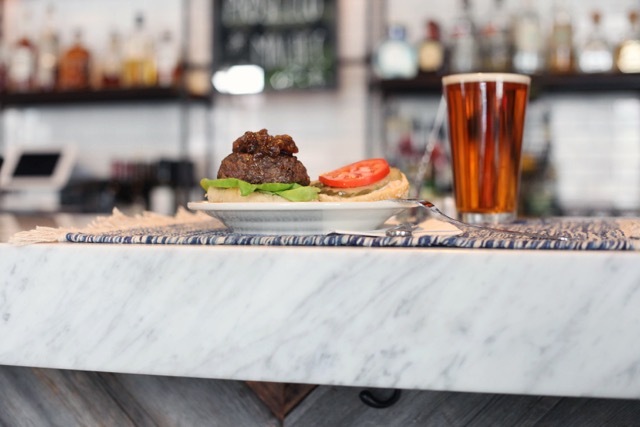 Whitman’s NYC is known for mastering the art of the Juicy Lucy – a delicious and tasty Burger stuffed with cheese. 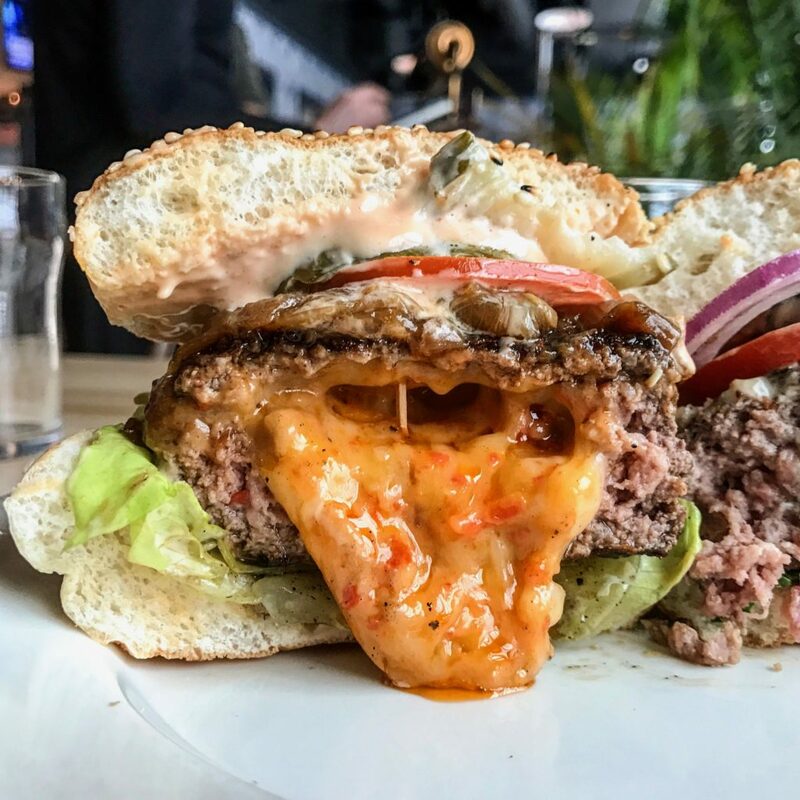 The signature Lucy at Whitman’s comes stuffed with house made pimento cheese. Well on this special night, you and a friend are going to split not only one Juicy Lucy, but 3 of them! One of the Lucy’s will be stuffed with a surprise. If you can correctly guess what’s inside, you will be entered into a drawing to win a $30 gift card for Whitman’s. But that’s not all! You’re also going to get 1 paired craft beer & 1 paired whiskey to taste with your Lucy’s. 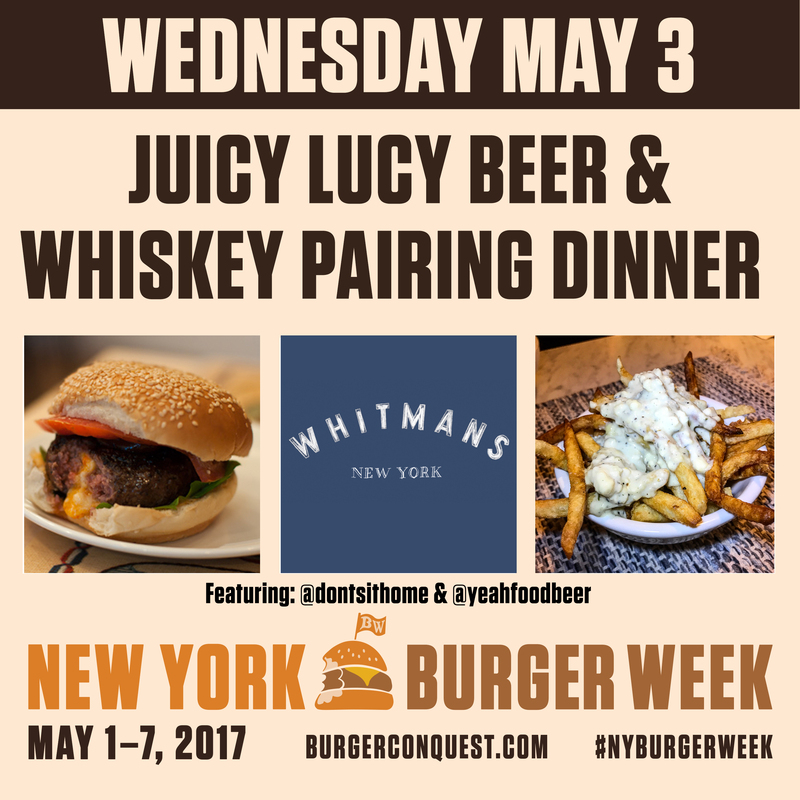 This entry was posted in Burger Week, New York and tagged @dontsithome, @yeahfoodbeer, juicy lucy, NY Burger Week, NY Burger Week 2017, pairing, Whitmans NYC. Bookmark the permalink.